YES! I WANT TO SEE THE LOWEST CABINET PRICES IN THE COUNTRY! We did get a quote from another company and and you guys saved us about $6K and the cabinets were way better quality. It was so great, because we had about 15 different revisions on the on the design but each change we wanted to make was handled so well by your team. Ron & Christine's Bathroom Renovation! "Here are a pic of our bathroom. Thank you the high quality cabinets! "Hey Dave, here are the after pictures of our home. 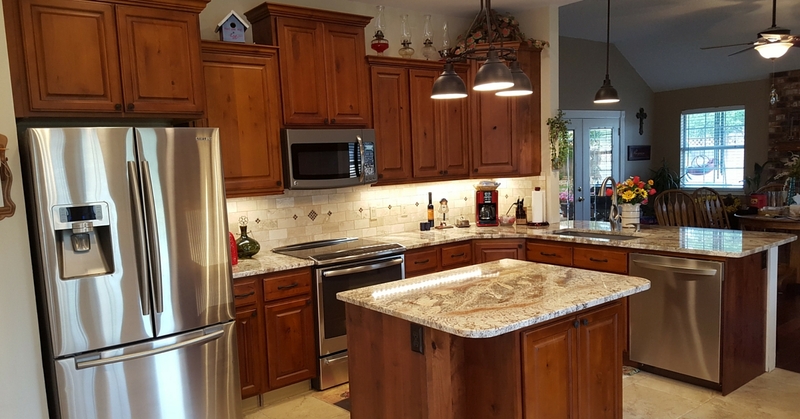 We love them"
Eric H. - Lake George, CO.
"Hi Dave, You have a wonderful line of cabinets and I have enjoyed working with you. As with most large projects there are inevitably some extra pieces I needed at the last minute. The excellent customer service and fast shipping was very much appreciated. We have received many comments on the overall quality of the cabinets. The cabinets were easy to build and install to make a professional looking home. Hope to have the opportunity to work with you in the future. Thanks again." 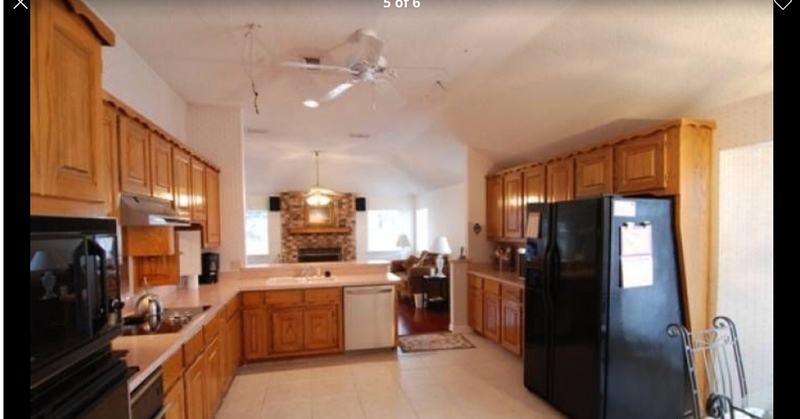 The cabinets are amazing! The kitchen design really maximizes space and functionality. Everyone who sees them loves them! It seemed like such a risk to buy ready to assemble cabinets online but from start to finish your company is amazing. I know I was probably your neediest client ever but you were always wonderful. I feel such a sense of accomplishment every time I look at my beautiful kitchen and I really do think of the two of you who were so patient and accommodating every time I called. We saved so much money but did not scrimp at all on quality or beauty! "I have just put together some of the cabinets. I’ve got to say, I am VERY impressed so far with the quality of the cabinets! The finish is just what I was expecting and wanted and the quality of the alder is excellent! Thanks so much for the fast service, reasonable prices, and great cabinets! I will send you a picture when everything is installed." "I received my order last Wednesday, just one word: IMPRESSIVE. I have been in the building trades my entire life, close to 40 years. These cabinets are the best I have ever used. You will probably be hearing from me and my friends again in the near future!!!! Thank you." “I was shopping for cabinets for a kitchen remodel and became aware of Knotty Alder Cabinets. In my research, I found that estimates as to cost from cabinet suppliers and major corporate box stores were cost prohibitive. After talking to Knotty Alder and having renderings/estimates done, I finally pulled the trigger and bought 17 cabinets. I assembled my cabinets without a hitch and installed them with the guidance of Knotty Alder’s Dave Tolman, who, though busy, was always available to give advice and experience toward a beautiful result. I think I should mention that without the cheerful input from Dave, my installation would have been much more difficult.